"This version is stable for those looking to run a public server based on Minecraft 1.13, but only if an entire reset of all worlds and data is performed, and all plugins in use have a Native Minecraft Version of 1.13." Two months and no post. Server came on yesterday and said, "This is almighty Server. I will reset the server when I have time." Then everybody went crazy vying for his attention. It went something like this. I thought you forgot about us server! Server when is the reset! 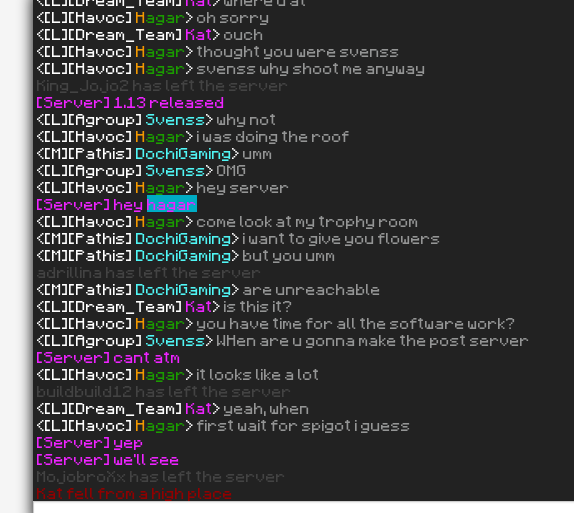 Server server look at spawn!! Then Server ignored all those losers and the minutes later he said, "Soon,"
Let's do this! SSVII gonna be lit! Rip school is bouta start for me, bad timing. Hope you guys live it up though!